Visiting India for the first time was a fascinating experience. I’m sure everyone has their own tales to tell, but let’s get down to food, and seafood. Indian is about 90% vegetarian and even a trip to an Indian McDonalds tells that story: the franchise advertises a host of vegetarian style burgers that I didn’t get the time to try but would have loved to see how the national franchise makes vegetarian food exciting (something India absolutely excels at). Chickpeas is the main source of protein and it’s normally found in the ubiquitous chola, essentially a mildly-spiced chickpea curry served with Indian bread. Dhal is ubiquitous. It’s even served as the one and only dish on Jet Airways domestic flights with tea, and surprisingly, a Kit Kat! Over the next few days, I enjoyed eating a wide range of vegetarian dishes. This reminded me of a conversation I had last year with Simon Billing, who runs the Protein Challenge — an initiative by non-profit Forum for the Future. The challenge has the ambitious goal of making sure a growing world population has adequate access to protein by 2040. For the Forum for the Future, making vegetarian food every bit as appealing as dishes containing animal protein is as important as promoting novel protein sources, for example, and the forum has enlisted top chefs to help achieve this goal. Surely gathering some of these fantastic recipes from India will be a key part of that challenge. Louis Dreyfus CEO Gonzalo Ramirez said earlier this year that texturized vegetable protein (TVG) could experience a second wave of growth with more sophisticated products targeted at this market rapidly expanding market. India could be a great market for this segment, he said. Proponents of the so-called plant-based alternative protein market, which has risen so sharply to prominence in the past year, offers Indians with rising incomes culinary alternatives without having the to eat meat. This would bypass the traditional trend of rising GDP resulting in more meat and fish consumption. The small minority of Indians who like to eat meat — and they number significantly more than 100 million — are surprisingly indulgent. The issue of protein deficiency in India however is a massive topic. According a recent Times of India article, most of the country is protein deficient and most people don’t know what the ideal protein intake is. Cereal constitutes 60% of an average diet, and that means that the little protein in the diet is lacking in key amino acids such as methionine, crucial for growth and tissue repair. As a long-time resident of a South American country, and traveling in tow with my MBA colleague Julio Zavaleta (a resident of Lima), we were expecting to take scenes in our stride. However, we were both shocked by the state of the urban homeless poor. It was significantly higher than Peru and starkly different to Chile. We also found worse traffic than Lima, much to our amusement. Protein deficiency is slightly less of an issue in some coastal areas that are rich in fish stocks. India is most likely a massive consumer of fish in coastal areas. But the lack of cold storage in the country means most of that fish is consumed at knock-down prices ports and seaside towns. The Arabian Sea is richer in marine diversity than the Bay of Bengal to the east of the country. This would explain why the city of Chennai appears in the above-mentioned Times of India article is one of the most protein deficient in the country. A local delicacy in Mangalore, which I visited, is pomfret served as a Mangalorean curry with coconut. Absolutely delicious! 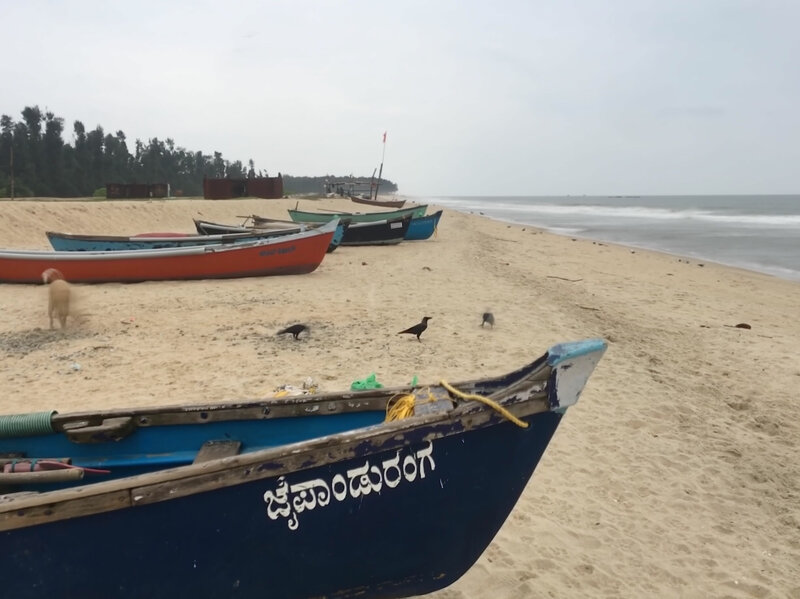 Mangalore is the hub of India’s fishmeal industry and indeed this stretch of southwest coast in the state of Karnataka (just south of Goa), is incredibly rich in sardines. That said, India’s overall shrimp industry is growing at an alarmingly fast rate and seemingly causing a local shortage of core ingredient fishmeal as I detailed for Undercurrent News, in both a news story and the feed innovation report. India’s insatiable demand for fishmeal has led top suppliers such as Mukka Seafoods to source from Africa and Oman. You have to wonder that the entry of the feed industry’s big guns — Cargill, Thai Union, and Charoen Pokphand Foods (CPF) — might professionalize the supply chain and take the strain off local fishmeal supplies. It’s of no surprise that India — weeks after my visit — announced a fisheries improvement project (FIP). Cargill doesn’t readily buy into a supply chain that could be purchasing sardines out of war torn Yemen, or from West Africa to be fed to Indian shrimp that end up on dinner plates in Oklahoma. My guess is that the government of Narendra Modi to announce formal fishing quotas in the not too distant future — like Peru does. Right now, Thailand has absorbed all of the attention of the folks who look at sustainability issues in south and southeast Asia. But a smart government will know that the spotlight will soon swing elsewhere in a region that needs to up its game in both the sustainability of wild capture fisheries and aquaculture practices. Next week Spheric Research will blog from Shanghai. Look out for it!